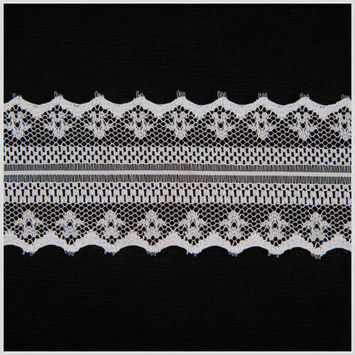 Raschel Lace Trim can make a drab black cape chic, or a warm shawl functional and fashionable. 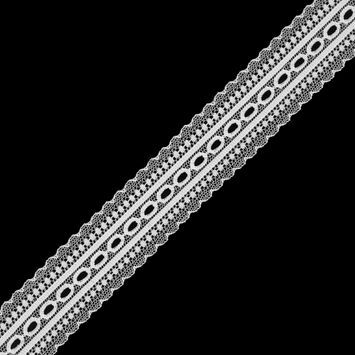 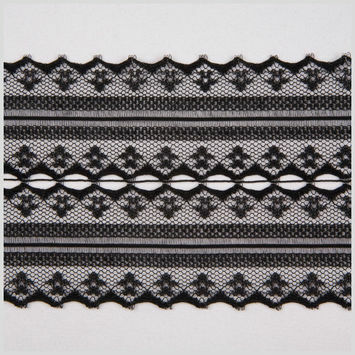 Raschel lace trim is a warp knitted lace derived from a special machine known as a Raschel warp knitting machine. 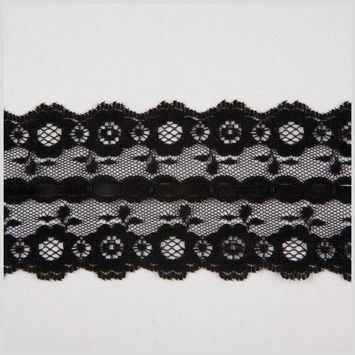 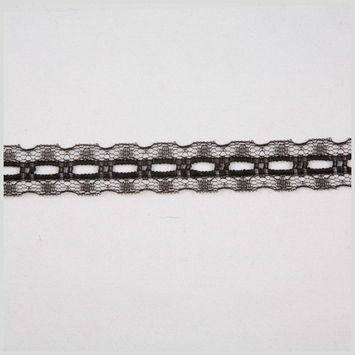 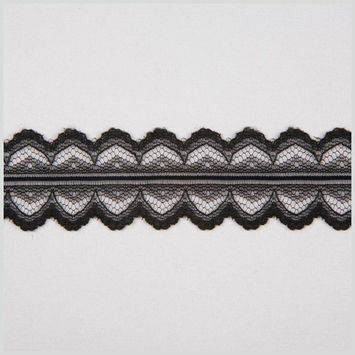 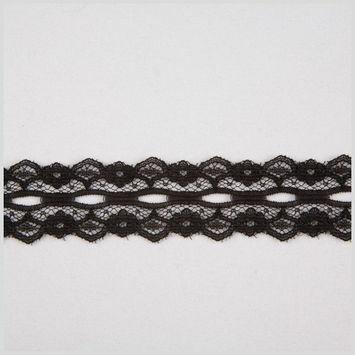 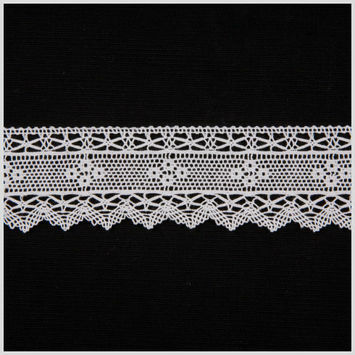 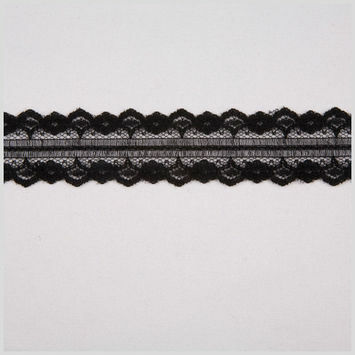 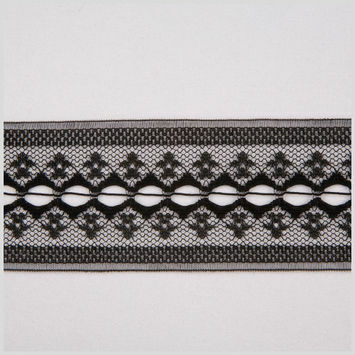 Raschel lace trims are known for their open construction, tactile composition and limited stretch. 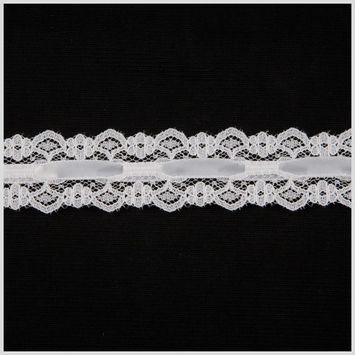 Upgrade curtains or tea towels, and give a sophisticated look to all your sewing projects with Raschel lace trim. 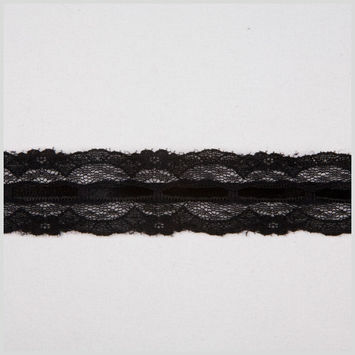 Black Raschel Lace Trimming with Satin Ribbon Detail - 2.25"